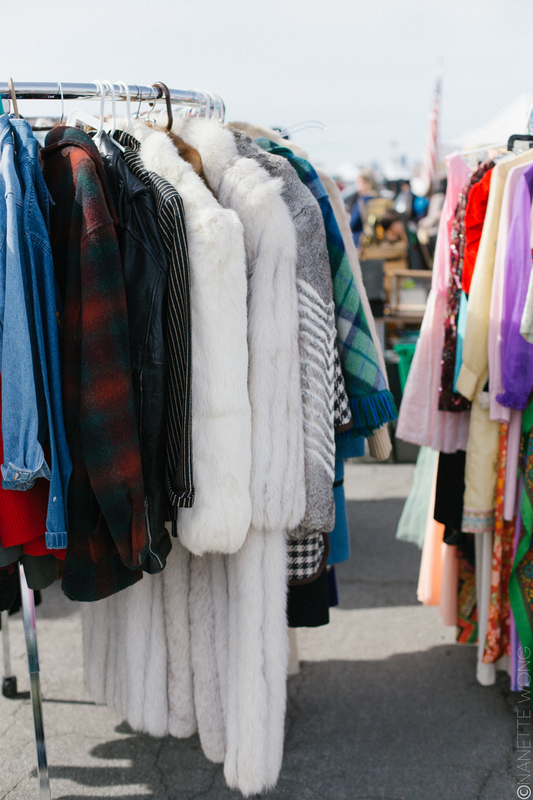 If you’re in the bay area and are a fan of flea markets, you’ve most likely heard of the hugest one in the area, the Alameda Antiques Fair. 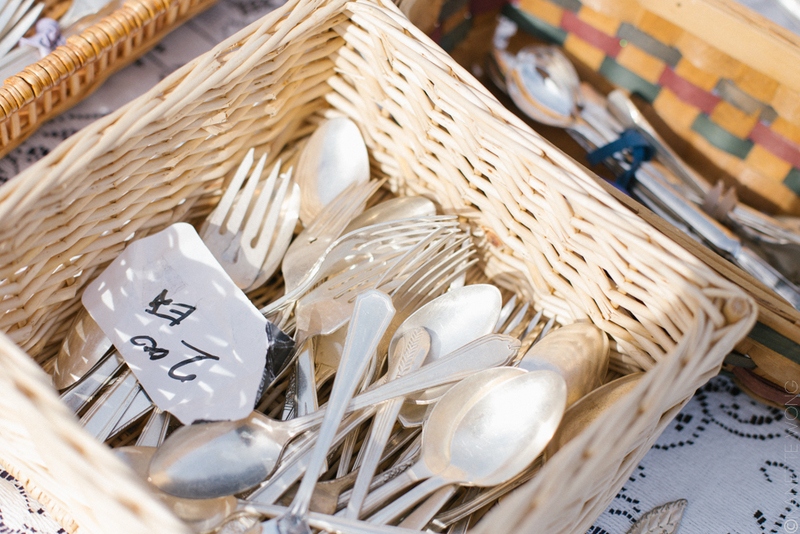 While it’s more commonly referred to as the Alameda Flea Market, the Alameda Antiques Fair is not actually a flea market– it’s much more than that! 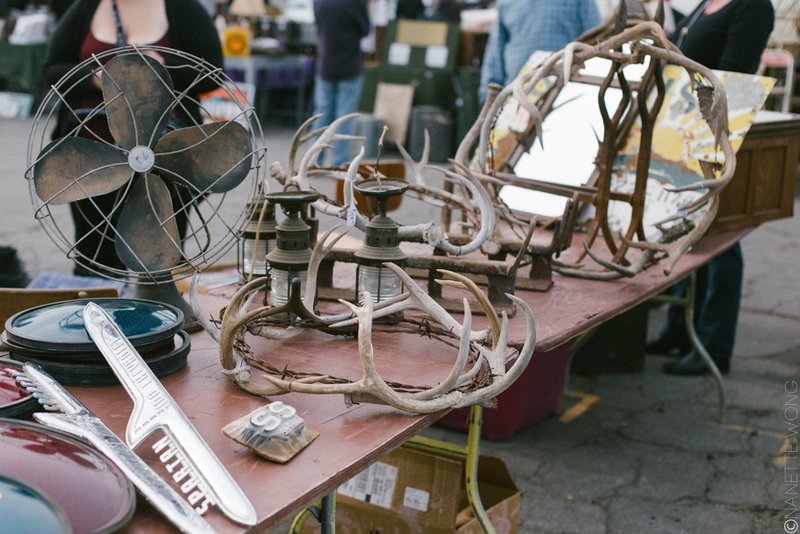 It has a huge selection of vintage and rustic goods, like that perfect wooden milk crate or antler chandelier you’ve been searching for. (I once went to what I thought was the antiques fair once, in this sketchy area under a highway, and my sheltered, 20 year old soul feared for my life and my valuables.) However, this antique fair is seriously HUGE, and you can spend hours going through every single booth. There’s also admission– for the serious buyers, it costs $15 from 6am to 7:30am (good god! ), $10 from 7:30am to 9am, and then $5 from 9am to 5pm. You can probably guess by my reaction that I went after 9am. 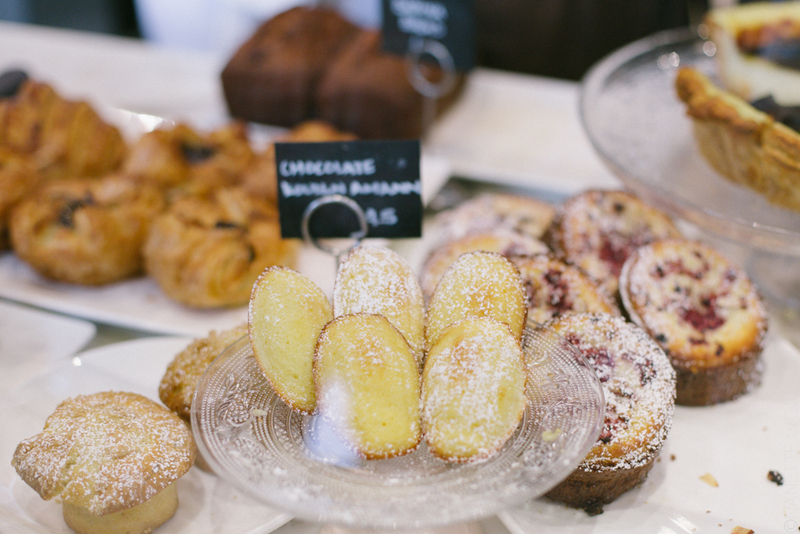 Of course, to get pumped and energized for a huge crowd, I had to start off with some B. Patisserie. I think I’m seriously their biggest source of referral. OHHMYYYGAWWWDDD YEEEESSSS. 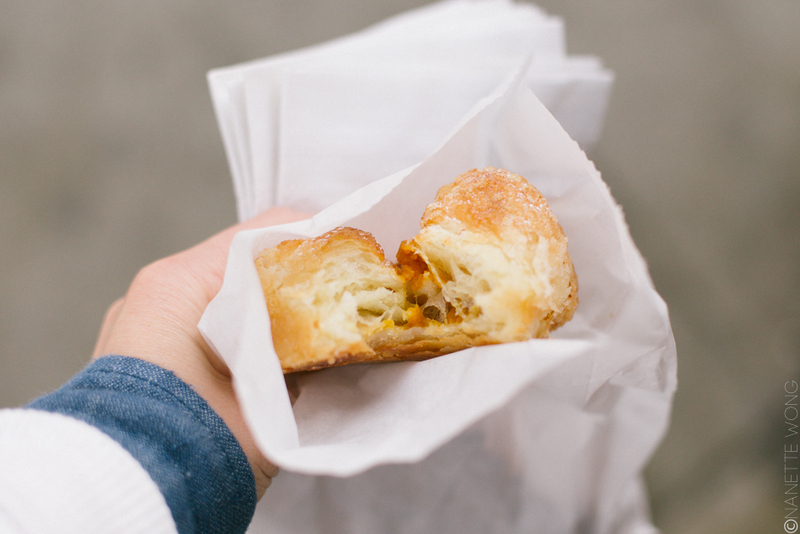 That’s the pumpkin kouign amann, in case you were wondering. Ok, enough dilly dallying. Off to the antiques fair. It’s chock-full of very unique things, and also stuff you’d see on west elm for double the price. There’s also food vendors for when you work up an appetite looking at those 800+ booths. YEAH. Over 800 booths. Some sweet… troughs? Tables? Who knows. Still cool. I could see Urban Outfitters charging an arm and a leg for this. Can’t forget the fur coats. It’s a great place for food photography props :). 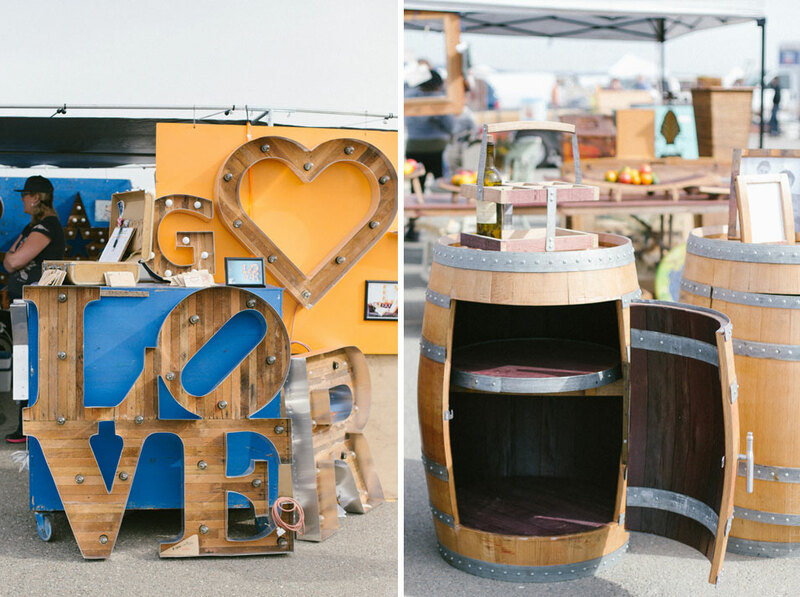 I was totally digging this awesome, hand carved shelving unit made from a wine barrel. Unfortunately… I didn’t have $800+ to spend on it. Next time! 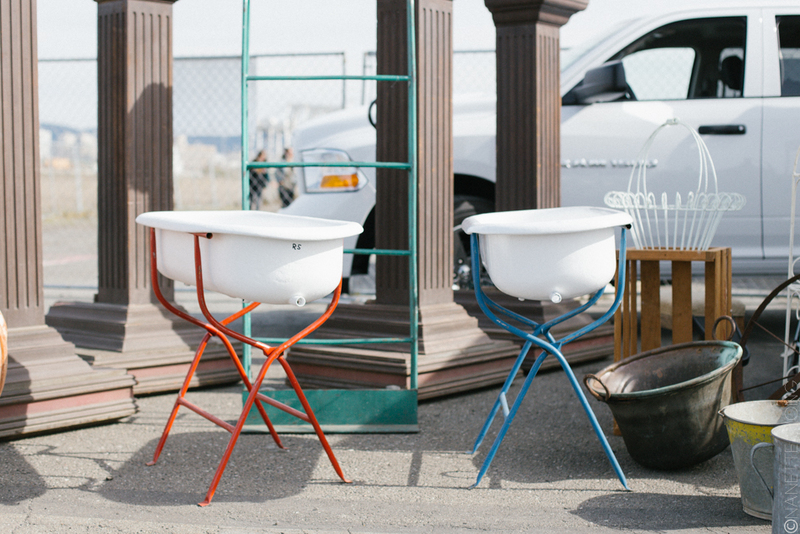 Definitely stop by Alameda Antiques Fair, especially if you’re trying to outfit your home! It’s the first Sunday of every month.